French director and screenwriter Luc Besson has been on the scene since the early 1980s. He is the mind behind some of the better movies that I have seen come out of Europe. Le Femme Nikita, The Professional, The Fifth Element, and Taken are a few that I have really enjoyed. While screenwriting has proven to be a constant source of success for him, Taken is a recent example; direction seems to be a bit of an Achilles heel for him. He has not a directed anything that I would call “good” since The Fifth Element and The Professional back in the mid to late 1990s. Lucy is his most recent endeavor to get back on track as a relevant director. 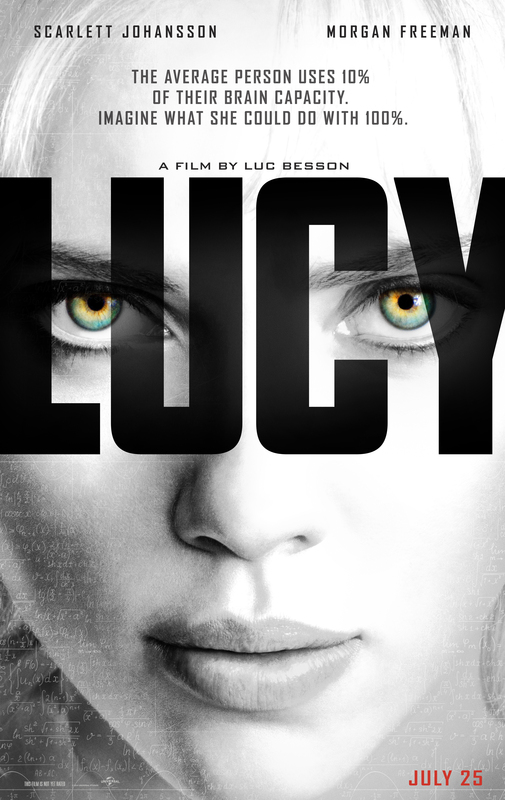 Besson’s new sci-fi actioner Lucy, starring Scarlett Johansson as Lucy, is the story of a young student in Taiwan that is forced to work as a drug mule by Chinese drug smugglers. The smugglers surgically implant a kilogram bag of a designer drug that is ruptured while in her abdomen. After the exposure to the massive dose of the drug, Lucy begins a transformation that results in her unlocking the full potential of her brain. The action follows Lucy across Asia and into Europe as she evolves from a normal slutty looking blonde that uses less than 20% of her brain into a near god that has control of 100%. With the full potential of her mind unlocked, Lucy quickly discovers that she has the ability to things that are equal parts amazing and scary. The movie has several things going for it and few things working against it. The visual presentation and effects are impressive are definitely a positive. Besson pulled out all of the stops to make the movie as visually striking as possible. As the story progresses and Lucy gains more and more power over her brain, the images that you are presented with give a concrete feel to the abstract changes that Lucy is going through. Near the end of the movie, as Lucy approaches 100%, the montage of the birth of the universe that she gains an understanding of puts the whole of the movie in perspective without a single word being spoken. The acting as a whole was also impressive. I have seen and heard others say that Johansson seemed flat and/or clunky in the delivery of her performance. I could not disagree more. When you consider what is happening to the character and the perspective and freedom that she is granted the performance is perfectly suited. Morgan Freeman is his normal self, so no criticism is needed; he was a great casting decision. The rest of the cast is mostly unimportant so their performances can be overlooked. The main negative of the movie is in the complexity of the ideas that are presented and in the way they are relayed to the audience. Once Lucy gains the vast knowledge that she acquires, the changes to her personality and behavior lead the audience to believe that as you get smarter and more mentally powerful, you lose any sense of right or wrong. Also, Lucy tries to explain what she is going through in such a way that it was nearly impossible to wrap your head around. At one point she even says, “your understanding of the universe is like a dog understanding the moon as he stares at it.” The concepts are going to be WAY over the heads of the Average Joe and will, probably, end up being a detractor from their ability to enjoy the movie as a whole.